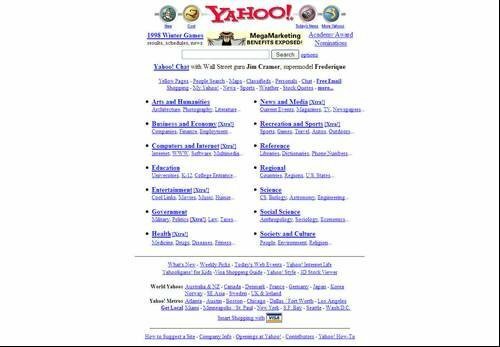 Yahoo homepage - Jan 1998 - Yahoo! The Highs! and Lows? In Yahoo 1998 launched Yahoo Pager – which became Yahoo Messenger.